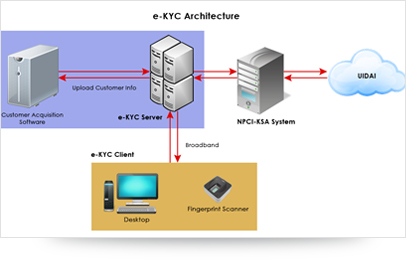 e-KYC is an innovative solution to complete the Know Your Customer process electronically with direct authorization by the resident. The core idea of the e-KYC Aadhaar service is to enable individuals to authorise service providers to receive electronic copy of their proof of identity and address. 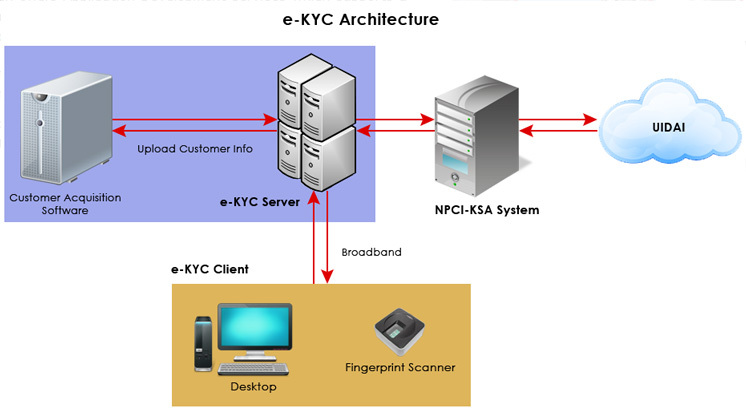 Using this real time solution, one can provide services instantly to residents as the KYC details of the customer are verified and retrieved from UIDAI server online.